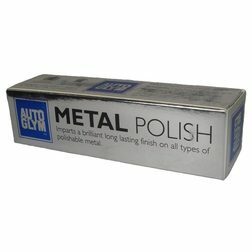 A metal polish that imparts a brilliant long lasting finish on all types of metal. Autoglym Metal Polish finishes metal surfaces with a brilliant lustre and helps to protect from future dirt build up. Suitable for chrome, stainless steel, brass, aluminium, copper and alloys.